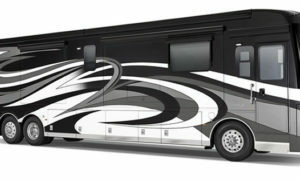 An RV is substantially wider, longer and heavier than an automobile. These differences call for special driving procedures. When driving in mountains, shift to a lower gear on inclines when the automatic transmission is repeatedly up-shifting and down-shifting. The proper way to descend a grade is to shift the transmission into low gear and avoid overuse of the brakes. If at any time it appears the brakes are fading, stop and let the brakes cool before proceeding. When driving on gravel roads stay well back from vehicles ahead. Watch for oncoming traffic and slow down and pull as far to the right as possible to avoid dents or windshield damage. Check your mirrors every 30 seconds. Be aware of the traffic behind you and whether they are keeping up with you, passing or falling back. 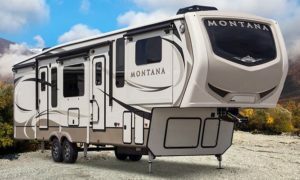 When several vehicles collect behind your RV, pull off the road at a safe place to let the cars go by. Not only is this common courtesy it is also the law in many states. When the temperature drops, driving conditions change. Wet roads become icy and dangerous black ice is difficult to see. Wearing a safety belt is the single most effective thing you can do to prevent serious injury and death in a traffic accident. Besides, it’s the LAW. Keep a distance of at least 30 feet per 10 mph of speed between you and the vehicle in front of you. 30 feet x 50 MPH = 150 feet. When merging into traffic or changing lanes, match the speed traffic as closely as possible. This makes it possible to enter the traffic lane into a smaller opening and is far safer than expecting the traffic to slow down or speed up for you. Conversely, watch far enough ahead that you can avoid slow merging traffic. Save your brakes by watching far ahead for stop lights or traffic congestion then begin slowing down by simply letting of in the gas peddle and coasting. Limit your driving time to 5 or 6 hours a day (300 to 350 miles). 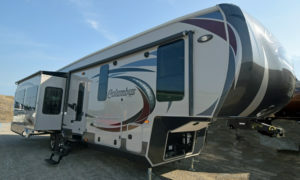 Some RVers even drive less. Not only will you be more alert, but you will arrive at the campground with plenty of day light to get set up and settled in before it gets dark. This gives you a chance to unwind, enjoy some of the campground amenities and get rested for another day of travel. 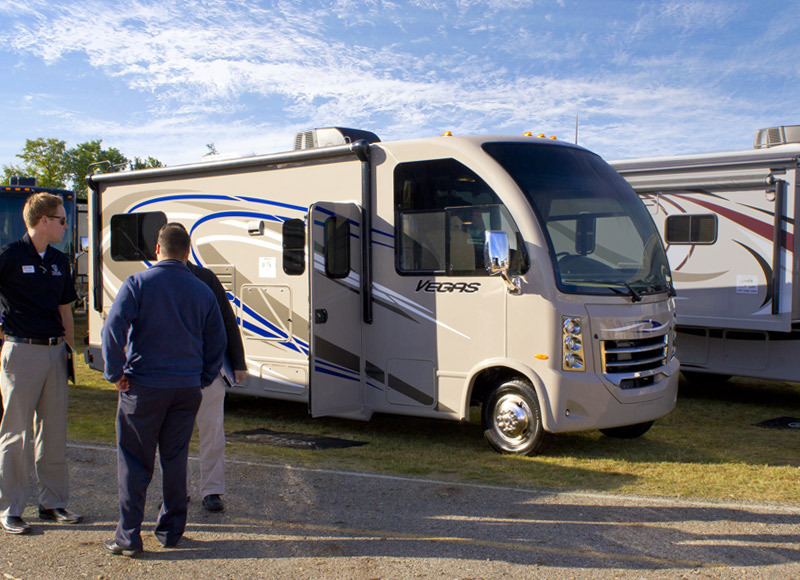 When passing another vehicle in your RV allow plenty of room and use your turn signals to change lanes. Accelerate until you are past the other vehicle and you can see both of their headlights in your mirror. Signal your intention to return to the other lane and pull back in. Maintain your speed until you are well ahead of the vehicle you just passed.